Our aesthetic can be described as 'refined simplicity'. We are not huge fans of production-number weddings that clearly define what event styling is now in Manila. We are fans of small, cozy spaces and for larger events, clean spaces with very minimal details. Every venue is a canvass for us to transform using simple but lovely setups that define you and your personal style. For now, we are focused on doing entourage flowers more than doing reception or church setups. Over the years, we have striven to produce unique bridal bouquet designs that are never repeated. The design is made for you and you alone. It will not be repeated for another bride. Vatel Manila is into the SoCal (Southern California) look: fresh, oftentimes loose, airy, feminine arrangements that are full of character and texture. Our bouquets are a marriage of the world's best flowers and those coming from local flower farms. We strive to strike a balance between meeting the requirements for function & beauty, as well as upholding our duty to support the environment and promoting job creation for Filipino flower farmers. In doing design, we get our inspiration from abroad where a lot of truly inspired ideas come from. Since there is a tendency for local businesses to copy each other's works, we feel that there is a need to be unique in every way (an understatement!) and to promote a culture of simplicity and good taste in every aspect of design. We are our own severe judge and taskmaster. We despise stagnation. We try not to follow trends yet still be in fashion. 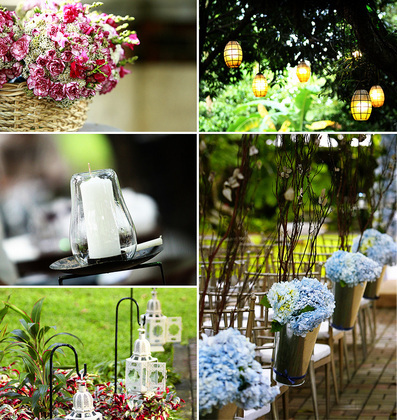 Our raison d'etre is to bring beauty to Philippine weddings. As a huge fan of architecture, we likewise subscribe to the Vitruvian design model: Utilitas, firmitas et venustas. Functionality, Quality, and Impact. With these things in mind, do know that you're in safe hands with us.